Crestview, FL, 03/25/2010 - Brandon Jordan with Coldwell Banker United, Realtors® has earned the nationally recognized Short Sales and Foreclosure Resource certification. The National Association of REALTORS® offers the SFR certification to REALTORS® who want to help both buyers and sellers navigate these complicated transactions, as demand for professional expertise with distressed sales grows. According to a recent NAR survey, nearly one-third of all existing homes sold recently were either short sales or foreclosures. For many real estate professionals, short sales and foreclosures are the new "traditional" transaction. REALTORS® who have earned the SFR certification know how to help sellers maneuver the complexities of short sales as well as help buyers pursue short sale and foreclosure opportunities. "As leading advocates for homeownership, REALTORS® believe that any family that loses its home to foreclosure is one family too many, but unfortunately, there are situations in which people just cannot afford to keep their homes, and a foreclosure or a short sale results," said 2009 NAR President Charles McMillan, a broker with Coldwell Banker Residential Brokerage in Dallas-Fort Worth. "Foreclosures and short sales can offer opportunities for home buyers and benefit the larger community, as well, but it's extremely important to have the help of a real estate professional like a REALTOR® who has earned the SFR certification for these kinds of purchases." The certification program includes training on how to qualify sellers for short sales, negotiate with lenders, protect buyers, and limit risk, and provides resources to help REALTORS® stay current on national and state-specific information as the market for these distressed properties evolves. To earn the SFR certification, REALTORSÒ are required to take one core course and three Webinars. For more information about the SFR certification, visit www.REALTORSFR.org or call 1-877-510-7855. Coldwell Banker United, Realtors® was founded in Bryan/College Station, Texas, by Richard A. Smith in 1970 and has grown to 71 residential and three commercial offices in five states with over 2,400 sales associates. The company was the number one affiliate in sales transactions and closed sales volume among 1,333 independently owned and operated Coldwell Banker companies worldwide. According to REALTOR Magazine, REAL Trends and RISMedia, three industry trade publications, the company in 2008, was ranked #5 among all U.S. real estate companies in closed transaction sides. For more information, log on to www.cbunited.com. REALTORÒ is a federally registered collective membership mark which identifies a real estate professional who is a Member of the NATIONAL ASSOCIATION OF REALTORSÒ and subscribes to its strict Code of Ethics. On Location®, our exclusive YouTube channel, premieres on national TV February 15 - are you part of it? YouTube, you're not part of the national campaign. videos. Show off your production talent and make yourself more prominent in your local market. Follow me on YouTube click this link! As a professional Realtor, I care very much about my Military Sellers and Buyers, and like to reassure both during and after the sale of a property. This is why I offer a FREE Home Warranty as part of my Seller and Buyer services to any Active or Retired Military. Reduce the cost of the home purchase. Provide reassurance against incurring major repair expenses for items not identified by a Home Inspector. Help keep the sale process on schedule if there are unexpected repairs not covered in a Purchase Contract. Reduce the possibility of after-sale complaints. By law this offer must be limited in time, have a known value, and be acceptable to the Lender. This offer is available only during the term of a signed Seller Exclusive Right to Sell contract, or a Buyer Broker Agreement. Seller warranties may be limited in time by the selected home warranty company, and the free warranty for Buyers is for a period of one year starting at the date set by the warranty company. The Free Home Warranty is a standard plan offered by an approved company which typically covers heating, cooling, plumbing, some appliances, electrical and mechanical repairs. Upgrades can be purchased by the Buyer or Seller, such as pool and spa coverage. This offer does not apply to puchases from home builders. This offer excludes service call fees and any other charges, fees, or expenses which may be required by a home warranty, and is limited to coverages detailed in the home warranty contract. 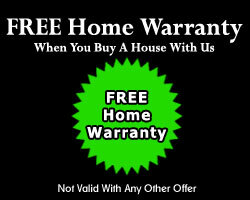 This offer is only valid for home warranties offered by approved companies Old Republic Home Warranty, American Home Shield. This offer does not have any monetary value unless an approved company is contracted. To be valid, this offer must be verbally presented by Brandon Jordan or requested by the Buyer or Seller. Northwest Florida’s workforce, economic development, education and business communities have a long track record of collaboration and partnership, working together to implement strategies and create solutions to meet current and future workforce needs. In February, 2006 the partnership’s vision for a unified strategic approach to workforce, education, and economic development for a diversified and sustainable economy was accelerated when the U.S. Department of Labor identified Northwest Florida as one of its original 13 WIRED regions. Florida’s Great Northwest, Inc. is the administrator and facilitating organization for the WIRED Northwest Florida Initiative, Northwest Florida’s regional strategy for the U.S. Department of Labor’s Workforce Innovation in Regional Economic Development Initiative. Secured through an extremely competitive bid process, the $15 million federal grant is funding workforce development initiatives throughout Northwest Florida. Established regionally as a matching grant program, this translates into a minimum $30 million investment in talent development addressing the high-wage, high-skill workforce needs in the target industries of Aviation, Aerospace, Defense and National Security; Life Sciences; Information Technology; Engineering; Renewable Energy and Environment; Distribution, Transportation and Logistics; and Construction Product Manufacturing and Distribution. Matching funds generated early in the initiative have been significantly stronger than required, indicating that at the conclusion of the federal grant in early 2010, the WIRED Northwest Florida Initiative will actually represent closer to a $50 million investment in workforce training and training program development for the region. Additional leveraged resources supporting the outcomes of the Initiative include over $87 million of federal funds awarded throughout the region. The input and guidance provided by the Governance Council and Industry Advisory Councils in each of the target industries is an integral component of the Initiative. Each Industry Advisory Council incorporates membership from the regional partners, including businesses actively engaged in that target industry. On the basis of its membership profile alone, Florida’s Great Northwest exemplifies a regional partnership which most economic development organizations would envy. This partnership includes local economic development organizations with countywide membership including private sector, civic and government leadership; all of the region’s workforce development boards, post-secondary institutions at the community college, four-year college and university levels; and private businesses covering a wide spectrum of disciplines. Florida’s Great Northwest and its members have the capabilities to influence decisions on regional and local levels, and enjoy broad regional support and perspective. The continuously expanding partnerships that have been built are key to the success of the WIRED Northwest Florida Initiative and the region’s economic position. As a direct result of the Initiative, more coordinated efforts in regional planning are being undertaken. Florida’s Great Northwest has been an active partner in preparation of the Comprehensive Economic Development Strategies for both the West Florida and Apalachee Regional Planning Councils. Developers of major projects regularly seek counsel from Florida’s Great Northwest in determining how to best align their properties with the region’s economic development strategies. Public education is linking its workforce training curricula to the employment needs and forecasts for the region. Economic development, education and employers have joined forces to assess the region’s economic position and implement programs to foster economic growth. The early results seen so far are only the beginning of the total potential expected to be achieved as a result of the Initiative’s efforts. Through catalytic funding of the U.S. Department of Labor WIRED grant, Florida’s Great Northwest has been able to significantly accelerate workforce development efforts and build the foundation for significant future successes. Although the initial U.S. Department of Labor funding, the matching funds, and the additional grants Florida’s Great Northwest has been able to leverage are significant and have enhanced job growth and skills training in the region, the real success of the initiative is in the strength of the public-private sector partnership, the shared vision, and strategic plan for long-term economic sustainability and diversification, and a sustainable initiative post-DOL funding. At the funding cycle’s conclusion in 2010, the grant monies may no longer be flowing, but the region’s leadership, vision, and strategy is in place to sustain the initiative far into the future.